On Monday we had another succesful meeting of the Roman Way Forum attended by residents from Roman Way and Cricketers Way. Unfortunately our local PCSO was unable to attend because she was dealing with a police incident elsewhere, but all the comments about policing were passed on to her by town councillor Barbara Carpenter. As a result of Barbara’s discussions with the police I can report that (1) police will carry out speed checks on traffic using Smannell Road to ensure the 30mph limit is enforced and (2) patrols will be increased in Cricketers Way to deal with youth nuisance and vandalism. If you have any other similar issues in the area let me or Barbara know and we will pass the details on to the police asking for action. Thames Valley police are reported to be investigating whether the Tory candidate for police commissioner in Hampshire has committed electoral fraud by misrepresenting his home address. who will you trust on crime? November’s important Police and Crime Commissioner election will decide the future of policing in our area. Here in Andover it’s a straight choice between the Conservatives, who have let down Hampshire residents on crime and failed to protect front-line police from cuts, or the Lib Dems who have stood up against County waste and cuts and campaigned to keep front-line police on our streets! The Conservatives running Hampshire have the wrong priorities. They voted to make further cuts to the police budget just days after a resident was shot in both legs by armed raiders, ignoring warnings from the Chief Constable that this could remove 100 police officers from our streets. Across Hampshire and the Isle of Wight, Labour and UKIP are always out of the race and can’t win. It’s a choice between experienced campaigner David Goodall or the Conservative candidate with links to a jailed £29million fraudster. 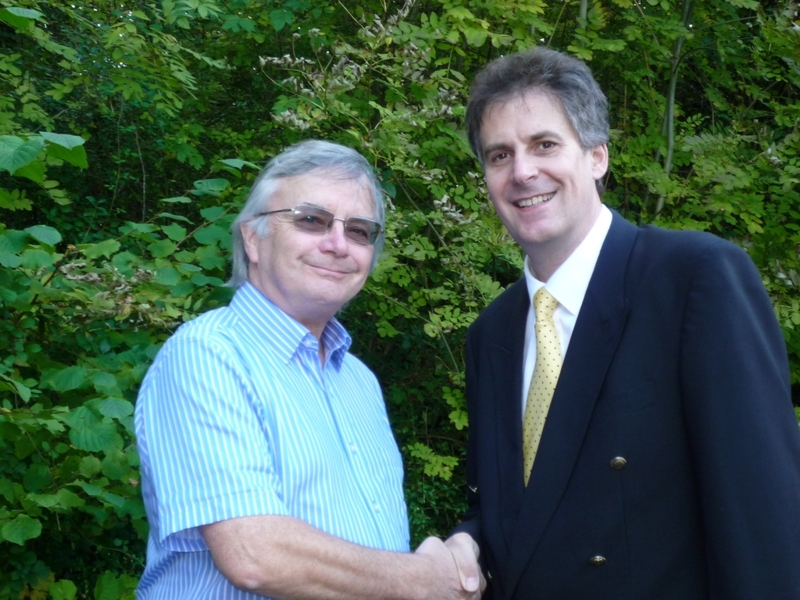 Experienced police campaigner David Goodall will work hard to protect your home and family as Hampshire’s first elected Police Commissioner. David is son to a retired Hampshire police inspector and brother to a serving officer, and is promising a fresh and effective approach to making our homes and streets safer. Hampshire Councillor David wants action to bring local people and police closer together to deal with problems of crime and anti-social behaviour. David will make sure we get maximum resources to frontline policing, working with communities to make sure that those resources are used where they are needed most. November’s election is a straight choice – sorting out the future of policing in our area or even more broken promises, funding cuts and YOUR money wasted! One of the more bizarre policies in the government’s coalition agreement is the decision to appoint police and crime commissioners for every police force in the country. These will be elected in November and the new Commissioners will have overall responsibility for running local police forces. 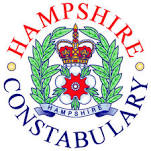 At present Hampshire police are run by a Chief Constable answerable to a Police Authority made up of elected local councillors. This works well and prevents any single person or group running policing for their own ends. The elections will see a single individual being paid up to £100,000 a year to supervise the Chief Constable. This money plus the cost of elections (£70,000) and cost of staff, offices etc would be better spent on front line policing currently threatened with cuts. The plan is not Liberal Democrat policy but was forced into the coalition agenda to satisfy the “angry wing” of the Tory party. Even the Tories admit they will struggle to find suitable candidates for the new posts. And they are worried about politicising the role. It is wrong to concentrate too much power in one person or institution. Just look at how elections for London mayor have become a battle between two over-inflated egos indifferent to the needs of London residents. The current Police Authority representing all local views and guarding against ill-though out, populist decisions, works. What a pity we have to change it. I and local Liberal Democrats will campaign in the forthcoming elections to ensure the election of a good non-political candidate. We need a police commissioner who will put good policing above all else. These elections should not be hijacked by self important busybodies or single issue campaigners getting on a gravy train and ruining our excellent police force in the process. Just over a year ago I attended the inauguration of Andover’s street pastors. These are church volunteers who give their time to go out on the streets to care, listen and dialogue with people. They are not there to preach nor to convert but to practice what they believe in, to care for their neighbours. Over the last year they have gone from strength to strength and earned the support and respect of the police, businesses and the public. I was privileged to attend their first anniversary meeting where a number of new pastors were enrolled allowing them to send out teams on Saturday’s as well as Friday nights. The also go out on Bank Holiday Sundays. Last Saturday I was invited, along with Cllr Nigel Long, to join them on patrol and his report of the evening can be found at http://nigellong.mycouncillor.org.uk/2012/01/30/street-pastors/. Here for you - or themselves? That this country, and the world, face the worst economic conditions for a century can no longer be denied. Millions are seeing their living standards drop, their pay frozen and their benefits and services cut. But those who are suffering the most in this age of economic austerity are not the causes of the problem merely its victims. The architects of these problems are a small self indulgent minority and the politicians who cravenly allowed them to line their own pockets at the expense of everyone else and to the detriment of society now and in the future. The financial crisis can be laid solely at the feet of greedy bankers and they must now pay their fair share to sort the mess out. We have heard, more than once, that “we are all in this together” unfortunately the directors of RBS don’t think this applies to them. David Cameron’s refusal to block the obscene bonus awarded to Stephen Hester shows this is not the case. All the pious talk about responsible capitalism and all the work done by business secretary Vince Cable to rein in greedy bankers mean nothing if, when given the opportunity, the prime minister fails to act in the public interest. Mr Hester earns 40 times more than the median wage and considerably more than the governor of the Bank of England. A bonus should be paid for contributing something above and beyond his basic contract, not just for turning up and doing the job for which he is already generously paid. The pathetic excuse that it is less than last year is not good enough. No-one deserves this sort of largesse just for being in the right place at the right time. Mr Hester and his colleagues are public employees in a bank in which the major shareholders are the taxpayers. The prime minister has a responsibility to act in the best interests of those shareholders and block this excessive bonus and other bonuses lined up for other senior RBS staff. Last Saturday’s meeting was another success. Residents have heard how anti-social behaviour in the area has reduced in the last year. PC Simon Merritt and PCSO Becca Williams answered questions from the public and dealt with a number of issues raised. They stressed the need for residents to continue to report all incidents so that they can be followed up. The meeting then discussed speeding and other traffic problems. Town councillor Kevin Hughes will follow up the problems raised with the highways authorities. Residents also asked questions about traffic management in the area and agreed to add this to the agenda of the next meeting. A number of other matters were raised regarding overgrown trees, uneven footpaths and dog bins which will be followed up by town councillors. Future meetings of the Forum have been guaranteed thanks to support from the Alamein Community Association. The Association will fund and publicise all future meetings. The Association is also funding the planning application to erect the new community notice board on Roman Way. Forum chair Cllr Barbara Carpenter had been invited to become a trustee of the Association to represent Roman Way residents. For those new to the Forum it is a community meeting chaired by town councillor Barbara Carpenter. Meetings are held bi-monthly in Smannell Road Church centre. I originally organised the meetings with the police in response to requests from local residents. We continue to support and attend all meetings of the Forum. From July 2011 the Forum will be fully funded by the Alamein Community Association. Similar initiatives are planned for other parts of Alamein. The July meeting took place on 30th July. The next meeting will be on Saturday 17th September at 3:00pm. Several residents have contacted me about groups of youths congregating in South Street and outside ASDA. In fact its not just ASDA, I have had similar comments about the same problems outside Tesco in the High Street and other shops in town. This in itself is not anti-social behaviour, but large crowds can be intimidating especially to older residents. Its no surpise then that the police are looking for additional powers to disperse these crowds. But this doesn’t solve the problem it just moves it elsewhere and alienates the young in the process. While I fully support the police attempts to deal with crowds, on their own they cannot solve the problem. This is rooted in the lamentable lack of facilities for local youth in Andover especially in the older parts of town. Cllr Ian Carr’s response that TVBC gave them the Depot shows how out of touch he and the local Tories are with the needs of the community. No-one wanted to go to Charlton. They want facilities near home and near shops where they can meet without annoying eveyone else. is that so difficult to understand? What is needed is for the police to target the trouble makers (e.g. underage drinkers) who give all youth a bad name while encouraging the others to find other places to meet, but they can’t do that unless the councils (borough and county) are prepared to make other places available in and around town where they are needed.